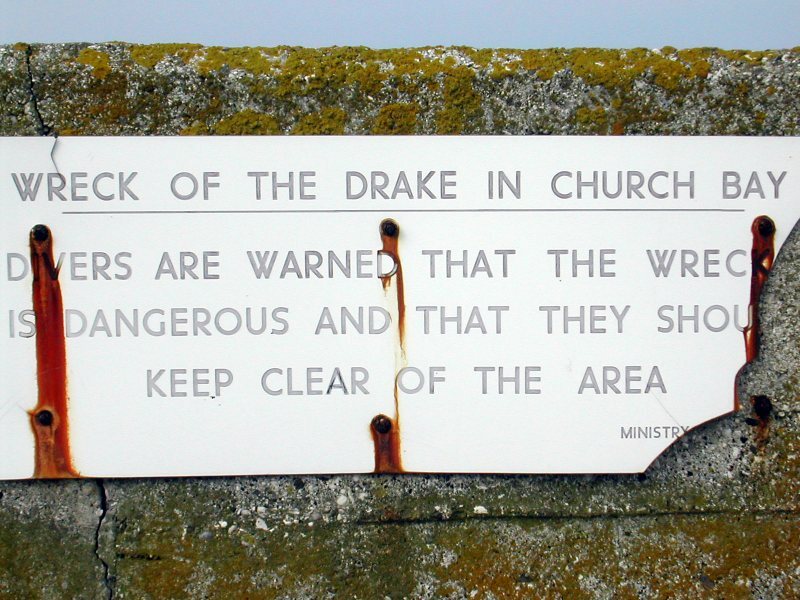 This sign is on the wall of the pier at Church Bay. - On 2 October 1917 a German U-Boat torpedoed the HMS Drake, a British Navy armoured cruiser. The damaged cruiser made its way to Church Bay and anchored but eventually capsized and sank in 18 metres of water. In November 1962 a 50 metre English fishing trawler hit the wreick and sank beside it.